The number of students sitting on Clemson’s iconic hill Saturday was smaller than I’ve seen in a long time, and plenty of blame has been thrown around. Head coach Dabo Swinney blamed the fire marshal, the students blame the athletic department and fans and coaches blame the students. The truth lies somewhere in the middle of all of that. are noticing it. That space must be filled. Maybe its time to fill the stadium in there and leave the strip where the players run down as open. basketball after Purnell left, the ticket allotment was reduced. If the students aren't careful this could happen for football. Something needs to change and soon. CUAD has 3 weeks to get it right again. I don't know how many times I'll feel the need to say it on here.. Many die-hard students are not getting tickets because of the lottery system. Unenthusiastic kids who don't want to stay the whole game get tickets above some orange blooded students who would be loud and proud for 4 quarters. Do away with the lottery system, let the students who are real fans camp for tickets, and I think a big number of these issues are solved. And we should stop rejecting people at the hill. These safety precautions seem dumb. I've stood for many big games on the hill and never had a problem. Re: I don't know how many times I'll feel the need to say it on here..
That would solve that problem as well as anything they could do. Student fans that love our FB program/players enough to camp out and wait in line, those will be the students that will still be on the hill at the end of the 4th quarter. When an issue that can be fixed as easy as this one would be to fix, why not just fix them, it doesn't have to be challenging fixing things that hadn't ever been broke until someone with power will break it!!! Yep. Should've never "fixed" the distribution system in the first place! Thanks for communicating the very simple obvious fix to this. It worked for so many years why did someone feel the need to change it????? Absolutely right. I like the idea of the students who want the tickets enough to camp for them to get them for themselves and for their friends. Any argument that the current system is better fails miserably, and the evidence of that has been on display at the last couple of ballgames. These students will fix this, if they are allowed to. Thanks for asking the questions. I hope that the University cares enough to figure out a quick and fair solution so that the hill will be filled for every game. It really does take away from the Tigers' entrance when it is not filled. Surely there is at least one person smart enough at a top 25 university who can come up with a good solution prior to our next home game. 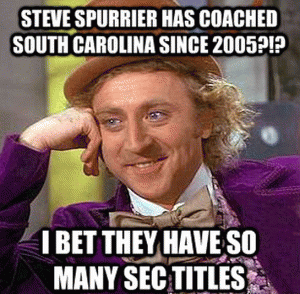 I'll bet Dabo could, and he is a busy man. I honestly want to tell the students who are passionate and do attend and stay, I'm sorry. Welcome to life young bucks. Where the 1% of $hitheads ruin it for everyone. ...decided to disallow block seating? If you've ever had 10 frat douchebags save three rows of seats and get aggressive with anyone who tries to challenge them, you know exactly why they did that. You'd think. But frat douchebags gonna be frat douchebags. That's really the whole issue anyway. Entitled students demanding change for something that wasn't broken. And now they're worse off than ever. Lol. No. I do have an issue with douchebags, who all too often happened to be frat members. But you'll take from it what you want. So go ahead. They issued my ######### card when I graduated. Well, you're certainly living up to the card at the moment. An extra TU for this double post! Normally, that doesn't happen. Yep, I'll agree with that. It's a shame for the good guys out there. They do seem to act like an entitled group of fair weather fans. If they don't use them (tickets), they lose them. It has been brought on by themselves. When I was a player, if I had seen this, my heart would have been broken that my fellow students had no more appreciation for our sacrifice than that. to sit in their block and do as he pleases because he doesn't like them. This also makes them ##### for calling him on it. Not sure how your scenario is applicable here. Block seating is assigned seating with seat numbers just like any other ticket. Your group simply gets tickets together. At least it was when I was there. And I watched those same groups STILL take twice their block allotment. Happened all the time. I don't know when you went to school or what your experience was, but yes, it really did. Cool, it was definitely happening then. Have a nice day. sit in a seat that you had a ticket for? Really? I call BS. Throwing darts at where the blame could possibly lie. I'm sure he thinks BLM and the liberal agenda had something to do with it, too. What in the actual #### does that have to do with anything other than you being a pissed off frat boy who didn't like what I said? Now you want to bring BLM and other emotionally charged agenda out of nowhere. And you wonder why I think frat boys are douchebags...sigh. You're about my age if you graduated in 2009. Here's some help...GROW UP. No, actually I got in a fight once as a student when they were trying to do it to beautiful women. And that's when I learned of the problem. But again, just like the other guy, you're going to take from it what you want. Someone in the wrong seat and won't leave? Call security like an adult. Frat boys may act like they own the world but security would fix that problem. What would you do today if someone was sitting in a seat you have a ticket for? Re: Someone in the wrong seat and won't leave? I would do exactly what you just said. But I was 19 and hot girls and alcohol were involved. So, yeah, I punched a frat boy instead. Sorry, not sorry. You have some serious issues. Never saw a problem in the "block sections". Sounds like he didn't get an invite. Some folks don't like paying for their friends. It's funny watching you all come to defend it so furiously. I was there, I know what I saw and dealt with. And the few people who are acting like I'm mad because I wasn't in the block isn't helping the case, only legitimizing my assertion. So. Keep it up. I appreciate the help proving my point even though that's not what you thought you were doing. Typical frat boy, can't think an issue through so they just resort to acting like a 3rd grade bully. Quite honestly, you are the only one acting like a child(more like a 1st grader). If you had anything real to say you wouldn't be name calling. If you throw a rock into a pack of wild dogs, the one that yelps is the one that got hit. You seem to be yelping pretty loud. I had something real to say, based on real experiences, and during those experiences I found frat boys often act like douchebags. I'm not sure I can make it any clearer, and even if I could, I'm less sure you could understand it. My guess is you got in a fight running your big mouth and someone finally had enough. You can guess all you'd like. I'm not surprised you're taking random shots in the dark because you don't like my story. Yes that is the way it was in the 80's. But my understanding is when they last had block seating it was just general admission. The difference than now is that people in block seating were guaranteed tickets. This is what is not fare to general student body. Sounds like we have a bunch of snowflakes running student government. But with the increased secruity over there it looks like it has just slowed down the process even more. Its a huge bottle neck over there that gets shut down before the game, then filled with people that arent sitting over there. getting there early solves the issues and it looks like that happens for big games, but not wake at noon. They are only going to keep restricting access to it until its no longer feasible. were mostly empty last week. ...shortly after our 1st TD. Attended the 100th Clemson vs. USC game on a broken ankle from 8 hours earlier. Got a recliner in the endzone for the 100th game...it was worth it. Story in Profile. they are changing it in the name of "Safety"
with too many people on the hill there are worries of trampling, etc. Now that have the hill on lock down to prevent any extra people from being there. This makes it slower to get into, and then you cant get to the visitor side of the hill for a little while until the team runs down the hill. That could be solved by people arriving earlier, but as we all know, Clemson fans are known for showing up early for anything other than a big game. Those extra beers in the parking lot are far more important. Re: they are changing it in the name of "Safety"
It looked like the West Zone club level was equally sparse in the second half. Are we going to talk about the affluent people bailing on the game, too? to pay all that money then not use the seat. Maybe they stay in the a/c area? show up or not, scalp tix, who cares. if you are student paying tuition and get a free ticket you better be there the entire game no matter what. Easy solution, change the policy to lower priority or suspend ticket privileges for students who receive a ticket but do not use or return it. This would stop a lot of students that aren't serious about attending the game from even entering the lottery and allow those that really want to go to have a better chance. At the very least by a couple of games in more tickets should be in the hands of students that will show up to the game. The Student Football Ticket penalty system is operated through a point scale. An unused ticket on a student account will result in a one point penalty "strike." Two strikes in a given season deem that student ineligible for post-season tickets (SEC Championship and bowl tickets) and the following season's tickets. Post-season tickets will be determined by UGA cumulative hours earned and strikes received during the season (Priority given to undergraduates first). Students should confirm their ID was properly scanned when entering the gates at the stadium." I've heard of other schools doing that as well. It's understandable that a given student can't necessarily make every game, but a policy like that can at least encourage them to return their tickets properly so someone else can use them if they can't make it. Students that pick up a ticket but do not show up for the game will forfeit opportunities to attend future contests. After a student misses one home football game he or she receives tickets for, the student forfeits tickets to the next home game. After missing two football games, the student forfeits tickets for the rest of the season." The student ticket situation has changed almost annually the last few years. Having two kids there over the last 5 years, I know it all too well. Block seating one year, no block seating the next. Block seating ticket allotments that declined significantly even though the organization was larger. Whatever the allotment mechanism is that is now in place is not working. There are too many students who want to be attending every game that are left out of the ticket pool on repeated occasions. As a Clemson grad myself, I am appalled. 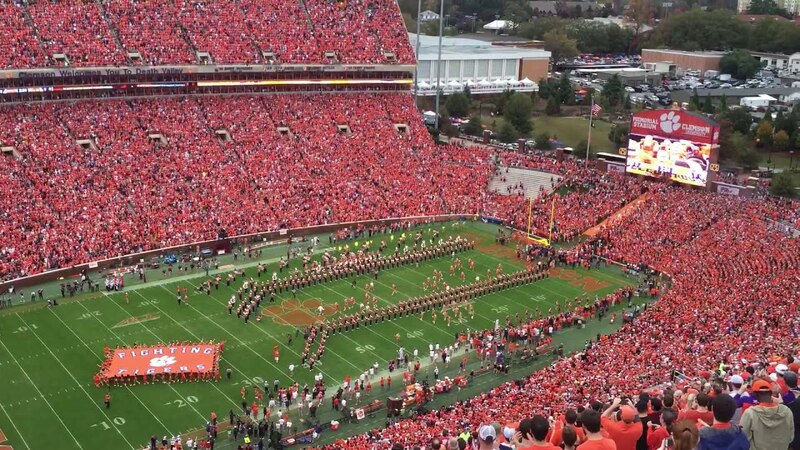 Every student pays a fortune for the opportunity to attend Clemson, and in my opinion, should have access to a football ticket for every game. How many student tickets are available vs. the current student population? I have not seen that basic information anywhere. My child is a senior, in good standing, taking the required hours, about to graduate in December and yet was not able to get a ticket to two football games already this year. Something is terribly wrong with the system. If you want the hill full of students, make sure the students who love Clemson football are somehow allotted tickets. This ticket fiasco will have a lasting impact on younger siblings that are considering Clemson (who, by the way, don't stand a chance of experiencing a game now from the student section) as well as future contributions to IPTAY and Clemson. Nothing's wrong with the system. My nephew transferred to Clemson this year and hasn't had any problems getting a ticket for any of the home games so far. I can guarantee he has it on his calendar so that he knows when to go online to get in the queue for tickets. He also joined the student IPTAY Club to move himself up in the priority. My daughter and son (both sophomores and IPTAY members) have each missed out on tickets this season. This might already happen, but I really think that if a student attempts to get tickets through the lottery but isn't able to get one, should move up in priority the rest of the season. Nobody should miss more than one game due to lack of availability. Also, anyone that gets a ticket and doesn't use it needs to be moved to the bottom of the list. Why is everyone trying to make it so complicated. The student tickets used to be physical tickets that students would receive by waiting in line outside of the stadium. That was an easy, simple process. The issue lay in the fact that students missed classes to get tickets. The new system is sometimes hard to keep up with, especially when students are trying to focus on class work, and dates and processes for obtaining student tickets continue to change. General admission is the way. 1. Remove the barricades. There is more space to get people off the hill than anywhere else in the stadium. This isn't a fire marshal issue. If so, more openings at the bottom of the hill will be the immediate quick fix. 2. All hill seats should be general admission or at least the majority. Students you have failed. If you want to sit in the lower bowl its time to pay up. 3. We have a great tradition. Everyone knows about "The Hill". The administration needs to remedy this before the GT game. It better be PACKED when they run down the hill next time. 4. PLEASE LET THE PLAYERS RUN DOWN THE HILL! Not a two by two walk down. It use to be a force coming down the hill. Now is a trickle. Its pathetic. There's only been one injury to a backup kicker in 30 years. 5. The rest of the stadium has been nicely filled. Even the upper corners. This hill "issue" is my only complaint of the season. The team looks good! I love the way Dabo is developing future players. 6-0! It now takes the team 1 minute 10 seconds to come down the hill....a trickle. I think adding a student entry at Gate 5 would help as well. If the students aren't there early, they can't get to the north side of the hill until after the players run down the hill, unless they walk all the way around the stadium. That's why there are very few people on that side of the hill when the players run down. That said (as others have mentioned), the lottery system doesn't work without penalties for not attending. You still may have people leaving early, but at least the committed people would be getting tickets in the first place. They just need to go back to camping out. If kids are missing class due to camping out, they are doing it wrong. Usually there are 20ish people per tent. Surely 1 out of 20 people won't have a class during any given class period. Just need better planning to make sure no one is missing classes. Have you noticed how many press are gathered around the goalpost? There is very little room between the fence, the press and then the band. I'm not going to read all the posts of opinions on this issue. Ticket issue and entry are the responsibility of the University. End of discussion. If they want to change things, then they have to lead. This whole topic is just....wrong. Get it right, right away folks. I guess gone are the days I stood at the gates, not just as a freshman but through senior year 2 hours before game time and sprinted against others to be front row of the hill. Great games viewed from there...hanging from 2 goal posts (and then that was the end of that) and memories I'll never forget. What happened to camping out for tickets? Rotating in and out of the tent with friends? So they reduced the number of tickets due to injuries at the ND game? There is one glaring difference in that game vs the rest. Wet grass on a slope and sneakers are a broken arm, wrist, or tail bone waiting to happen. Gravity is extremely efficient. The whole situation is an embarrassment - all parties involved - students, administration, student government, can do better. Knee jerk reaction to a 1,000 year flood. Just real, real stupid to reduce the tickets on the hill by about 20% due to the flood, if that is factual. Putting fences up on The Hill ????? Just real dumb!!!! Sleeping late and playing video games on game day can wait till another day. Students at Camp Randall in Madison, Wisconsin have a 11:00 am kickoff to deal with when they are on tv for a noon tv appearance on the east coast. They show up for kickoff and don't whine. Get off your A$$, and go support your team!!!!!!! Snow, rain, hot cold, early, late, hungover, not hungover, don't matter!!!! Now, this Tiger feels a little better. What ever happened to seniors get tickets Monday, juniors Tuesday, sophomores Wednesday, and freshman Thursday? You want to sit in a group? Great, your group is defined by the least senior person. Never had a problem, but there were fewer students way back then. It's still done by class priority with any students who are members of the student IPTAY club getting first dibs, then it's by seniors, juniors, sophomores and freshman. There wasn't a student IPTAY back in the day with prioriry given to some and shouldn't be today. Not every student can afford this and this takes away from the overall experience. A student is a student and they should all be treated the same. No Student IPTAY, no sorority or fraternity preferences, line up at the gate before the game (or camp out) and have a first come, first serve policy starting 2 hours before the game. Now you have student fans who really want to be there. I agree. I was a student from 1980-1984 and we camped out for tickets in groups. That was the only way to get a "block" together. Guarantee students who do that will get there in time and stay till the end!! but still let kids/teenagers with regular seats sit there if they want. If the students fill it up before the team runs down the hill, those folks have to go back to their seats. If not, or if the students start leaving (like Kent, BC, WFU) then other folks can move over there. Its stupid to have a "student ID only" policy in the 4th quarter if the students aren't there. Its pretty much just common sense that worked since 1942.
so the "Fixes" that broke the Hill need to be UNDONE. If there were some related problems, the RESULT should NEVER have been sacrificed in order to fix the related problems. Anyone heard of LEADERSHIP and PROBLEM SOLVING???? 1. Block fraternity problems? Take all those currently-available "gate guards" and put them where they are needed to enforce the seating arrangements. 2. Student tickets: Use their ID both for dispersing the tickets and scanning the tickets. If they "no-show," they get penalized. 3. If students are not on The Hill by a certain point in pre-game, open The Hill to the general public. The Hill's attendance should be held to certain standard expectations: It must be filled to inspire the players and fans and continue the tradition of running down The Hill. If the ticketholders cannot meet their responsibilities (no matter what reasonable delays may happen), The Hill should be opened to the general public. 4. Resume sales of general admission tickets for The Hill and implement corrective actions to prevent what happened to stop it in the first place. 5. If there is a safety concern, FIX THE SAFETY CONCERN, but ensure that it does not in effect remove the result of a full Hill. Again: Required Result: FULL HILL. No one wants to hear about all of the problems that now, after all of these years, have surfaced. Make it happen. It could be that a number of students were concerned about midterms and had that as a priority. allowing groups to purchase blocks. Kids want to sit with their friends. How would you like it if you bought season tickets, but couldn't sit with your family? Don't want Admin. to clarify I want them to FIX the problem!!!! 'borrowing' a student id from student. Great times. Handing ID's through fences to your friends from The Citadel etc the good ole days! I was guaranteed football tickets when I was a student. As far as I'm concerned, the students should be guaranteed tickets. If it really was an issue, the university/athletic dept. would've been piled up with fines by now. The issue I see is the barricades at the top of the hill. Completely stupid. I don't know if anyone has noticed - but there's been a surge in EPI security people since I've been a student. There is an overwhelming presence of these people because some people do not know how to act in public, and the entire student body suffers as a result. I too love to stand on the hill (I did for every home game both 2015 & 16). I wouldn't be surprised if the athletic dept. comes out with a strike system mentioned here in the comments. I'm all for that. And they weren't student seats. SHHHHHH. Don't come in here with those FACTS. Let the freshman go on the hill and the Bridge kids! Too many kids in the upper deck too far removed! Students beware! You have the opportunity to wield your power by attending the games and showing your support. If you won't, others will. "No one seems to know for sure when it happened but, general admission tickets are no longer sold for the hill." I smell cover-up. As heavily administrated as the entire football program (including tickets) is, some one knows. Why are general admission tickets no longer available for the hill? And who made this decision? I'll tell you the exact cause. Not one of these little chits ever had to live through a bad (4 loss) season. They have no ####### clue what Clemson has gone through in the last 25+ years. They've never really thirsted or hungered for a win. They've never done without. They are spoiled ### rotten and just don't appreciate what they have. Someday when Dabo is dead or gone these little ###### and the rottenass fans who are complaining about us not blowing teams out will get a clue. 2. Barricade and isolate the hill to further reduce attendance numbers. 3. Point attention to the lack of attendance. What is wrong with the students? 4. Give the ruse of trying to correct the matter/"problem". 6. Require students to buy/purchase tickets like every other school after the majority of fans/public are frustrated and angry with them. 8. Hope no one notices any of the above steps are taking place... And if they do, so you're working on the "problem". Make the hill general admission, and CHEAP. When I was in middle and high school we always got hill tickets. It was great for kids not wanting to be trapped in the stands. Or just leave the whole hill bare except for the girl that was in the sundress at the wake game. Mountains on the Hill! There are only 7 home games. Go to every game! You are there at an amazing time in Clemson football history, don't take it for granted. The witch is midterm exams. Clemson has a high academic ranking for a reason...it is not all about football. Everyone who thinks the students are not showing up must not know a current student at Clemson!! This is definitely the administration covering up their mistakes ! Every game my daughter has several friends who do not get tickets even though they follow all of the rules for "on-line" tickets. Many of these kids are SENIORS! Furthermore when they do get tickets, they have to leave the tailgate at minimum an hour before the game starts otherwise they won't get to their seats before kickoff because of the HUGE lines holding them up with scanning ids especially when they have to sit in the upper deck. The HILL was BLOCKED off , why else would it only be empty on one side! Please open your eyes and realize that the administration created this issue not the students. Others have mentioned too, they are dumping the students in the upper deck....that is where my daughter gets put each game. I was at Clemson in the 80's and only had to sit there once. My son graduated in 2016 and only had to sit there once . So when the hill is empty, it certainly isn't the students fault. If the students actually get a ticket and then make it through the hour long wait to get inside, they are sitting in the upper deck. I feel like I need to mention that the traffic for the 12 noon games has been horrid compared to previous seasons. Not sure if the same people who made these rules up about the new ticket allotment Also changed the game day traffic staffing. Traffic doesn't move, and there really is no explanation. have to be parked by minimum 8:30 am or you just might miss the kick off because you get stuck in traffic. So many students live off campus now a days too so it makes it hard to get there on time too. Before you say they should not live off campus, know that there are not enough dorms available to accommodate all of the students.